Naples Family and Divorce Lawyer Kevyn Noonan Hayes > blog > Divorce > How Should You Tell People About Your Divorce? Deciding that the next best step in your marriage is ending it is a difficult realization. Coping with your own feelings about the dissolution of your marriage is challenging, but so is breaking the news to family members and friends. Here are some ways to make the conversations with the people who matter to you easier. Do not give the impression that your decision isn’t final. Let your family know that you and your spouse have not reached this agreement lightly, and you both feel that a divorce is in each of your best interests. Do be kind when speaking about your spouse. Now is not the time to be critical of them or take the opportunity to tell your family or theirs about their wrongdoings. Ask your spouse to do the same. Do not think that continuing a relationship with your in-laws will be something that is easy for you to do. In fact, you may not be able to do it at all. Chances are, even close in-laws will change their stance when they hear about the divorce. However, if you are able to remain friendly with them, be sure to keep all interactions neutral. Many people wonder how they should tell their friends about their impending separation. Telling your own friends — who are not friends with your spouse — can be easy. They’ll often feel the way you do and provide you with support. However, discussing the situation with friends of both you and your spouse can present more obstacles. Make sure that you let mutual friends know they don’t have to be on your side or your spouse’s side. If you and your spouse are agreeable, tell your friends together. If not, that’s okay too. Just be sure that you don’t speak about the divorce details or about your spouse when you interact with mutual friends. You don’t want your friends feeling awkward about the subject. Additionally, you definitely don’t want to provide them with information they can take to your spouse, no matter how much you trust them. Call the Law Office of Kevyn Noonan Hayes, P.A. 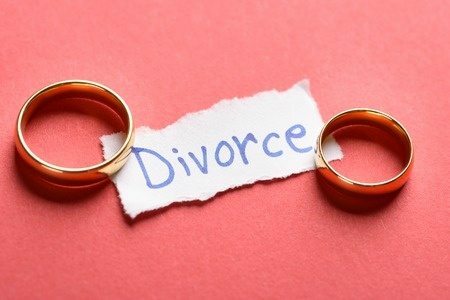 today for a consultation and let your family and friends know that you are working to protect your interests with a divorce attorney if they ask. Call now at 239-591-6248.